The mainstream media is driving the narrative that the caravan of as many as 10,000 Central American migrants now arriving in Tijuana is a collection of innocent, honest and decent people, mostly disadvantaged women and children who are in fear for their lives in their home countries and are simply seeking a safe and secure refuge. They are not mostly women and children and if it is the safety and security of asylum that they were looking for, then they would have accepted Mexico’s offer of asylum that they were all offered and all refused. Their goal is the big Santa Claus north of the Rio Grande, which they intend to enter illegally, brazenly disregarding and disrespecting American law, as though they have a right to enter the US illegally, apparently a message their leftist advisors have been indoctrinating them with. The single mothers in the caravan are certainly not looking for jobs when they reach the big Santa Claus. Daycare in the US is expensive and will leave little to nothing from a minimum wage job with which to pay rent, buy groceries, pay utilities, provide transportation, medical care and all the other things Americans must pay for to survive. It is clearly America’s generous welfare system that is attracting these people. Money to provide for them is not plucked from any special tree. It is provided by hardworking Americans who must not only provide for themselves and their own families, but for many others, including those who enter the US illegally, waving the flag of their home countries with no intention of assimilating and becoming Americans, but, rather, of exploiting America’s resources because they have been convinced that they have a right to plunder America and no one will stop them. Liberal Democrats are not only telling us that these people deserve our money, but that millions more are on the way and We the People are going to be forced to take care of them all. And, somehow, it is not registering with grassroots liberals that this is an unsustainable proposition, or that they themselves will not be exempt from paying for this. It is those clueless morons who vote for Democrats that are the real problem. Another lie the mainstream media is pushing is that the caravan is a spontaneous movement of poor souls so yearning for security and liberty that they will walk over 2,700 miles, the distance from New York City to San Diego, to achieve it. 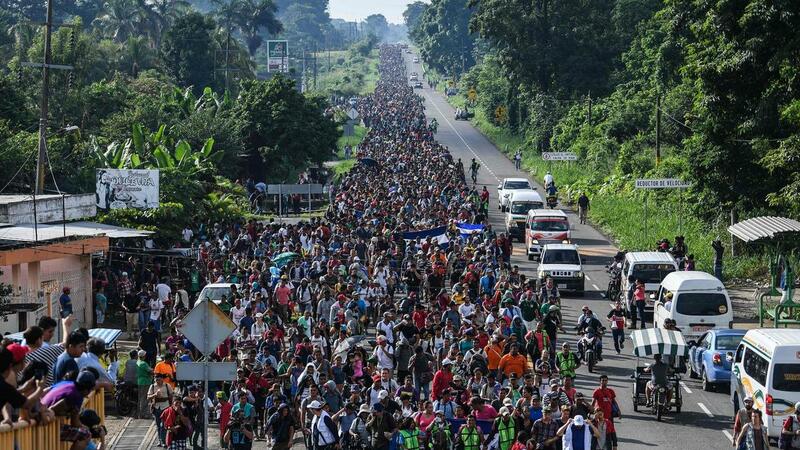 As investigative journalist Ami Horowitz points out in the video, below, the caravan is very well-organized, very well-funded, well-fed, and receiving top-notch medical care, as needed. The invading army of up to 10,000 (the size of a US Army infantry division) is not traveling on foot. The MSM propaganda depictions of the pedestrian army are photo ops. They are primarily being trucked, railed, and bussed through Mexico. 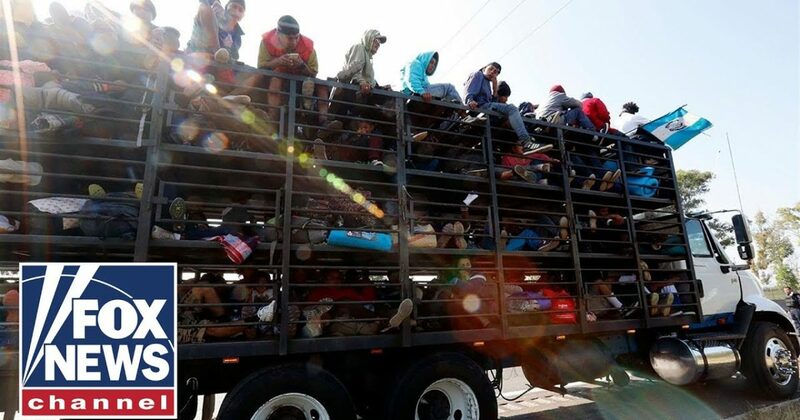 All of the organization and logistics involved in moving this army to the US border have been performed expertly and at a cost of millions of dollars…. to someone. But, who? I am reluctant to mention any names, but his initials are GEORGE SOROS, who should have been arrested, indicted, and convicted on many counts of sedition decades ago. Had his assets been frozen then and his evil companies dismantled, we would not be suffering the many crises we are suffering today. Soros is wanted in multiple countries for crimes against the people. Yet, here in America, we allow him to remain free to hurt the country in numerous ways. This caravan, the ones before it, and the many that will surely follow if we do nothing to prevent it, are only one example of Soros’ wicked plans for the country he despises that has been so good to him.